The Texas Book Festival. is this weekend and our guests are Lois Kim and Julie Wernersbach, its chief executive and literary director. We hope you’ll scroll through our past episodes below. You can download the interviews from each page, or head over to iTunes for our podcast. Be sure and follow us on Facebook and Twitter for show updates. 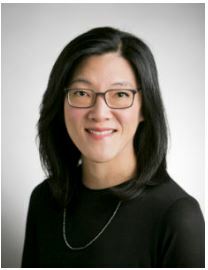 Lois Kim serves as Texas Book Festival’s chief executive, responsible for managing staff, programs, operations, external relations, and resource development. An immigrant from Seoul, Korea, Lois grew up in Williamsville, New York. She holds a bachelor’s degree in English from the University of Michigan and a master’s degree and Ph.D. in English from the University of Texas at Austin, where her research focused on Shakespeare and early modern culture. In her early career, she taught high school English at a boarding school and pursued graduate coursework from the Bread Loaf School of English at Middlebury College. Prior to joining the Texas Book Festival, Lois served as the associate director of University Extension at UT Austin, where she managed student and academic affairs for college credit students. She also served on the board of the Austin Public Library Friends Foundation for six years, four of those as Vice President. Her husband, Phillip Reed, is a principal of Cotera + Reed Architects and they have two children: Sylvia (16) and Nate (13). She has been a member of her book club for more than 20 years and favorite book genres are contemporary literary fiction and the 19th-century novel. 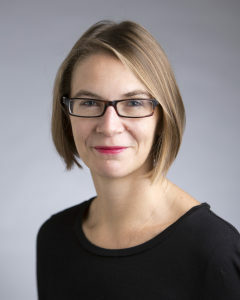 Julie Wernersbach serves as Texas Book Festival’s literary director, responsible for developing and implementing year-round literary programming in Austin and other Texas cities, including the annual two-day Festival in Austin. Julie has ten years of experience as an independent bookseller, most recently serving as marketing director for BookPeople, the largest independent bookstore in Texas and one of the most high profile independent bookstores in the country. Before moving to Austin in 2011, Julie served as publicist and events coordinator for Book Revue, a large independent bookstore on Long Island. Julie holds a B. A. in English from Boston University. In addition to acting as TBF’s literary director, Julie is the author of the books Vegan Survival Guide to Austin and The Swimming Holes of Texas. Her fiction has been published in Arcadia magazine, which nominated her short story, ‘Happiness,’ for a Pushcart Prize. She is currently at work on a novel. Julie loves books of all stripes and is particularly drawn to short and literary fiction. TEXAS BOOK FESTIVAL WEEKENDOne of the largest and most prestigious literary festivals in the country, the annual Texas Book Festival features 250+ nationally and critically recognized authors, 20+ venues including the State Capitol, 80+ exhibitors, live music, local food trucks, family activities, and countless opportunities to meet authors and fellow book lovers. Founded in 1995 by First Lady Laura Bush, the Festival has hosted thousands of notable and award-winning authors over the years, including Margaret Atwood, Robert Caro, Sandra Cisneros, Salman Rushdie, Cheryl Strayed, Walter Mosley, Molly Shannon, Frank McCourt, Ziggy Marley, Liz Carpenter, Doris Kearns Goodwin, and many, many others. 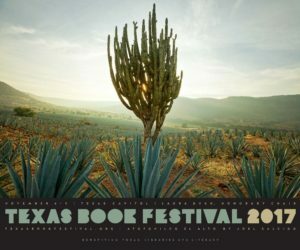 The 2017 Texas Book Festival will be held November 4-5, 2017. The Festival runs from 10 a.m. – 5 p.m. on Saturday and 11 a.m. – 5 p.m. on Sunday. 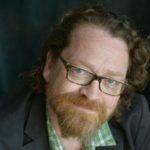 The Texas Book Festival Weekend is free and open to the public and takes place in Austin, Texas, at the State Capitol and surrounding grounds. For more information, please see Texas Book Festival. You can keep up with the festival on Twitter at @Texasbookfest, Facebook and Instagram.